Cozumel beach clubs are to the island what a good sound system is to music. Without one, you may still enjoy the sweet melodies but man oh man what a difference that deep base and those speakers make. 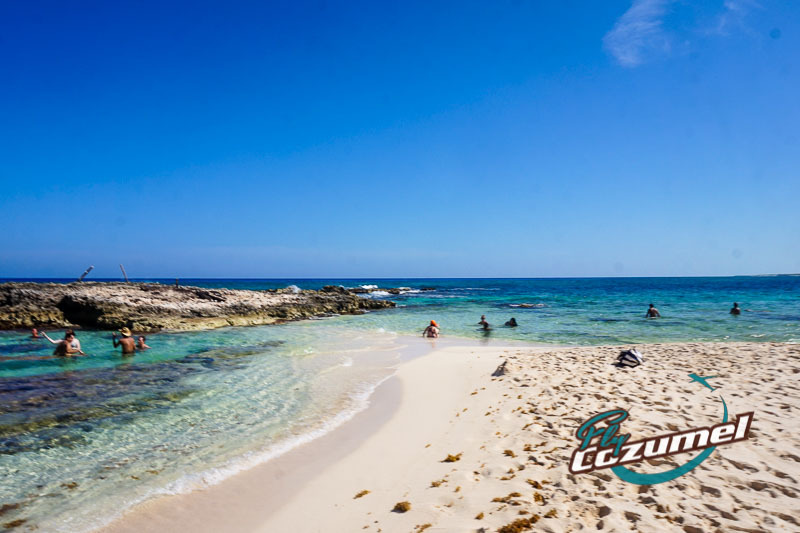 As could be expected, beach clubs in Cozumel are among the most popular places to visit for locals and visitors alike. After all, it’s nice to enjoy a nice stretch of beach while laying on a towel and reading a book, but there’s also something to hanging out on a lounger under the shade while you sip on a cold beer or cocktail and a dose of coconut shrimp or ceviche. It’s important to make a distinction here. We’ve intentionally excluded beach bars from this list. Don’t fret, however, as we will be covering those separately. Definitely not the view. Both beach clubs and beach bars excel in this area. What distinguishes one from the other are basically the amenities. To be precise, beach bars and restaurants don’t really offer anything more (nor nothing less) than food and drinks with a view. 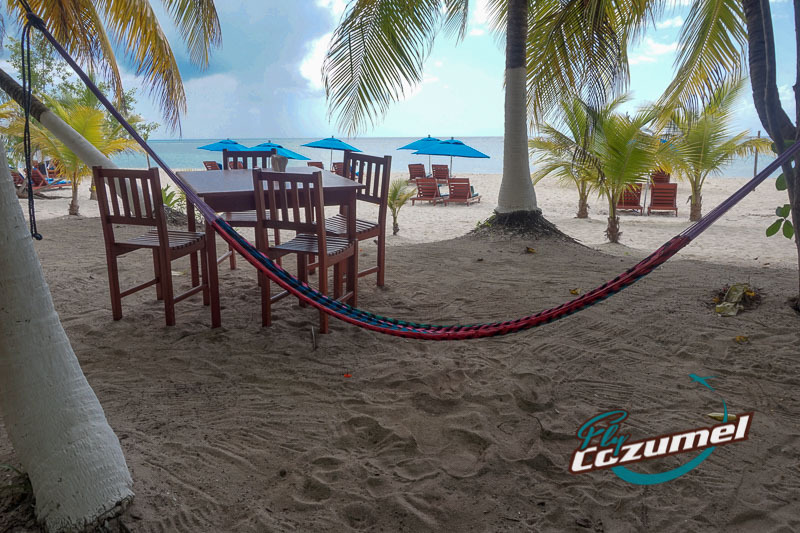 Cozumel beach clubs, on the other hand, bring the culinary goods and up the ante with additional activities and services. It’s like having your cake and eating it too. Coming up with this list has not been an easy task. At Fly Cozumel, we definitely enjoy the scenic Cozumel tour by plane to take in the entire island. However, we also enjoy coming down to earth to enjoy sinking our toes in the white sand beaches. We should note that several beach clubs didn’t make the cut. The ones that are listed are spread out from north to south, making it a taxing and trying task to go from beach club to beach club. You’re welcome. See, I took one for the team. To make this list easy to follow, it is organized by the beach clubs from north to the south. Furthermore, we are including the average cost for two meals, two beers, and two cocktails as well as the price of renting snorkeling gear, where applicable. With the exception of Punta Morena, all Cozumel beach clubs mentioned in this article are located on the island’s west coast. While there are good restaurants and bars on the “wild side of the island”, strong ocean currents prevent the eastern-facing beaches of the island from being able to offer up any kind of aquatic activities. 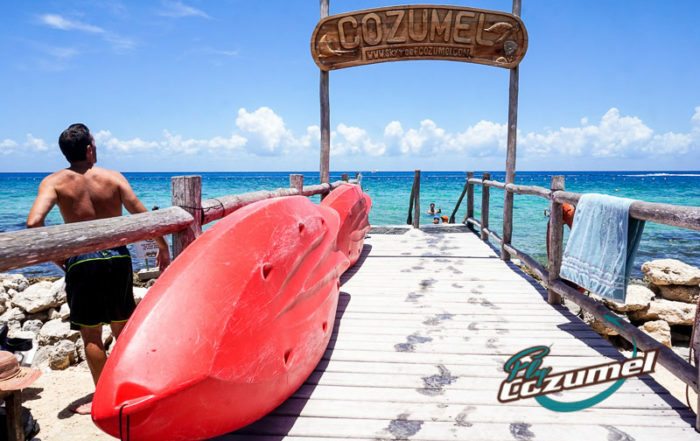 So, without further ado and from north to south, we hereby present the Cozumel beach clubs you won’t want to miss. The Playa Azul beach club is about a ten-minute drive north of the Cozumel ferry to Playa del Carmen. The best way to arrive at this tropical hotspot is by taking a taxi, especially if you plan on having some drinks. The beach club is spacious with a large restaurant, and a wide beach area. Moreover, you can also rent snorkel equipment. As with the majority of beach clubs, you can also purchase an array of other services and tours, none of which we will focus on in this article. Address: Carr. a San Juan km. 4.5, Zona Hotelera Nte. Opening hours: Daily from 10:00 a.m. until 5:00 p.m.
Buccano’s is a local favorite and for good reason. Good food, a great ambiance, and the Caribbean Sea. Not only that, but Bucanno’s also boasts a large pool, gift shop, and tequila store. The set up here is definitely one of the nicest of all the beach clubs, with a hacienda-style restaurant in the back and the stunning white sand beach in front. Tip: If you’re staying in Cozumel you should definitely check out Buccano’s at night. Stay tuned for our upcoming review about one of Cozumel’s most popular evening dining spots! Opening hours: Daily from 9:00 a.m. until 5:00 p.m. 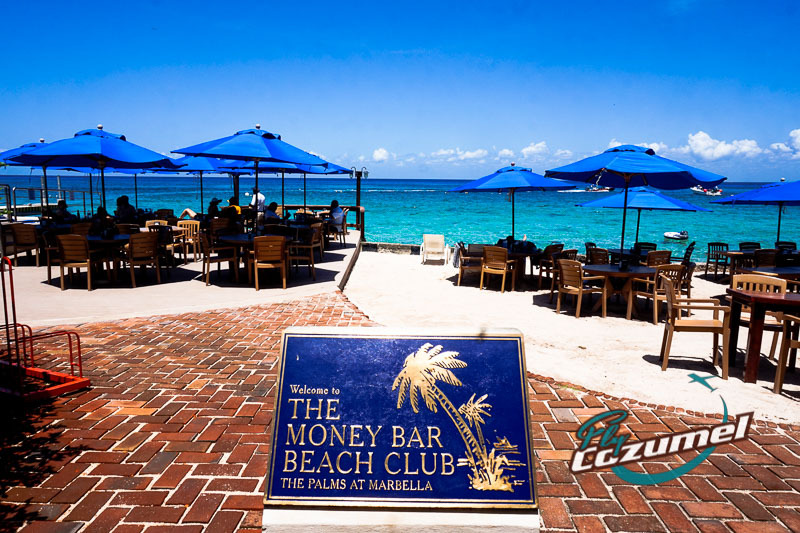 While the name evokes the images of handsome gigolos with thin mustaches and slicked back hair greeting the old women looking to spend a few hours on a video casino game, the Money Bar Beach Club, in reality, is a charming spot just south of the Cozumel Cruise Port. The place is clean, colorful, and friendly. The beach here isn’t too large, but there are lots of tables and quite a few loungers to enjoy while soaking up the Caribbean sunbeams. Food and service here are both up to standards and recommended. However, what makes this place so special is the fact that it is probably the best place you can go snorkeling from shore. Yes, no tour. Simply rent some snorkel gear from the adjacent Tiger’s Tours, and slip into the water for an incredible and mesmerizing aquatic experience off the coast of Cozumel. Just one word of advice: enjoy those beers, cocktails, and tequila shots after and not before you go snorkeling in Cozumel. Opening hours: Daily from 7:00 a.m. until 10:00 p.m.
Chankanaab National Park, a.ka. Chankanaab Beach Adventure Park, is a Cozumel treasure. Run by the talented professionals of Discover Mexico, Chankanaab offers a tropical paradise mixed in with national park and beach club. A long stretch of natural white sand beach to kick back and relax before heading into the beautiful Caribbean Sea combines with a myriad of activities to make this a great choice for families with the need to keep different people happy. Opening hours: Daily from 8:00 a.m. until 5:00 p.m.
A cozy beach club with a great vibe. That’s the best way to describe this fun beach club situated right next to a beautiful open-air church overlooking the Caribbean Sea. Great food, mesmerizing views, and just an overall fun atmosphere. Alongside the Money Bar, this is one of the best beach clubs you can go to in order to combine a guacamole and ceviche with some spectacular off-shore snorkeling. Opening hours: Daily from 8:00 a.m. until 7:00 p.m. 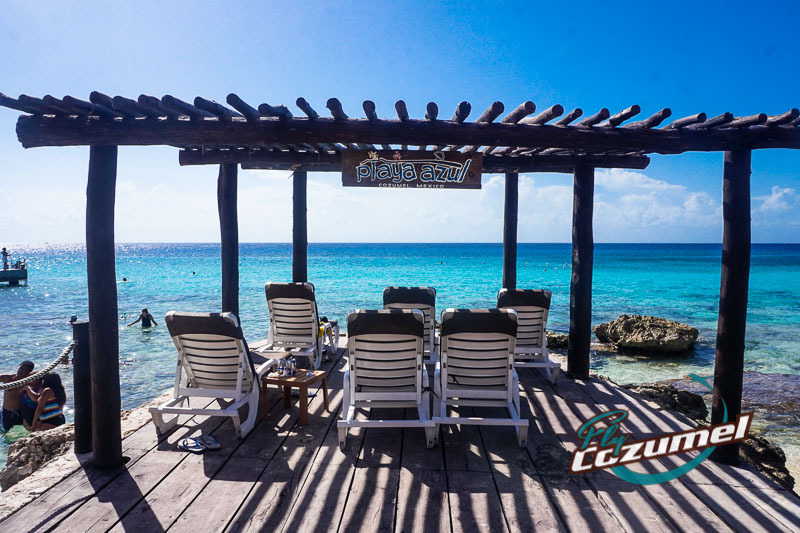 The Carlos N’ Charlie’s Cozumel beach club combines the comfortable look and feel of a local bar with the views and amenities of a beachside pub. Not a bad mix, if that’s your thing. The beach here is a bit small, but there’s enough space here to find a nice place to sit in the shade and live it up on the beach. Local vendors are available to sell a myriad of aquatic adventures, massages, and souvenirs. The staff here is very friendly, and if you’re looking for a U.S.-style bar environment to enjoy while sipping on those margaritas or playing a game of pool, Carlos N’ Charlie’s may just be right up your alley. Opening hours: Mon. – Sat. 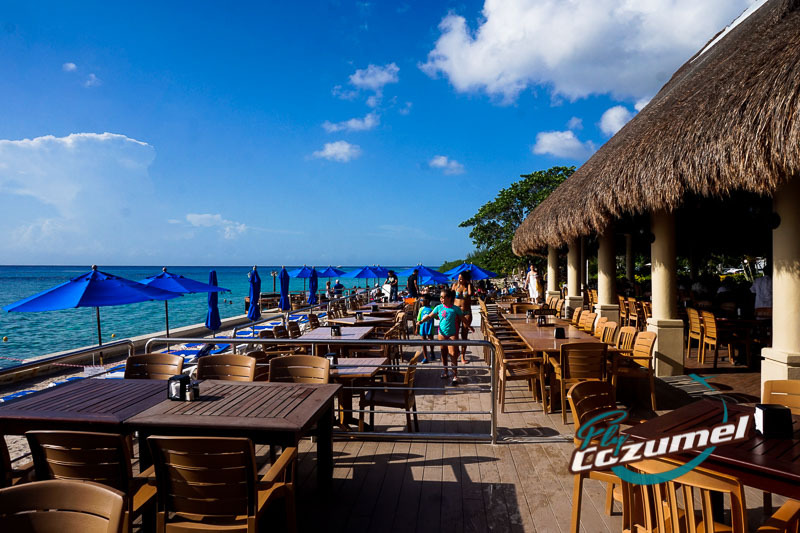 from 9:00 a.m until 5:00 p.m.; Sundays from 11:00 a.m. until 5:00 p.m.
Playa Mía is the biggest of all Cozumel beach clubs. This sprawling tropical complex is set up to welcome large crowds of cruise ship passengers. 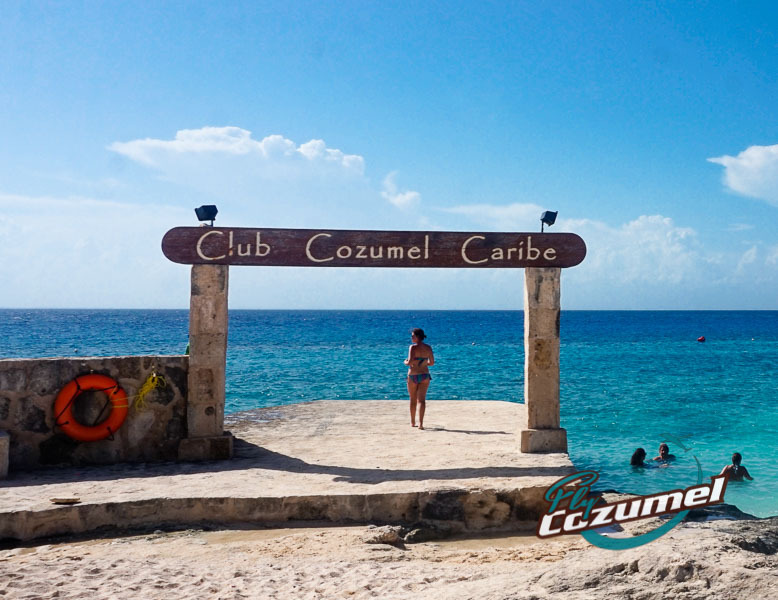 As such, depending on the day of the week, you’ll find the friendly seafaring folks from Royal Caribbean, MSC, Norwegian Cruise Lines, Carnival, and Disney who have come to take in the beauty of Cozumel for a day. 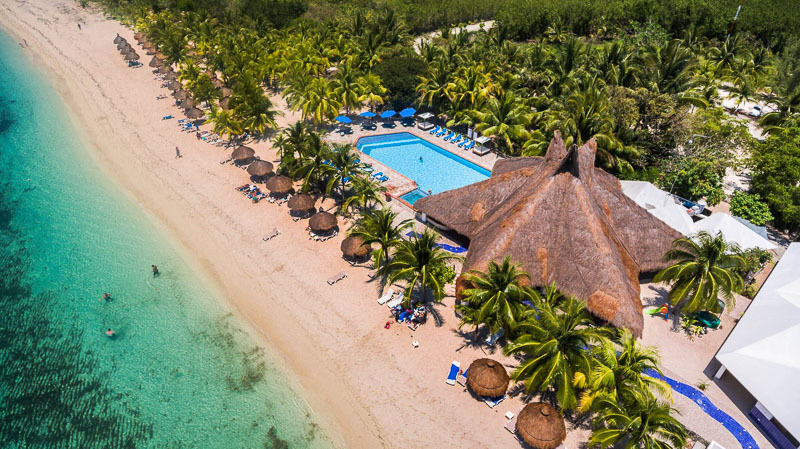 Playa Mía is also one of the few all-inclusive beach clubs, which is nice for those wanting to pay a one-time fee and then not worry about money. However, as always, additional services and activities, as well as tips and souvenirs, are not included. Half water park half beach club, Playa Mía is a great option when you have kids in tow who may otherwise get bored at a regular beach club. Here, they’re guaranteed to be entertained the entire time your here. That’s because if it’s activities you’re looking for, Playa Mia has the most options. 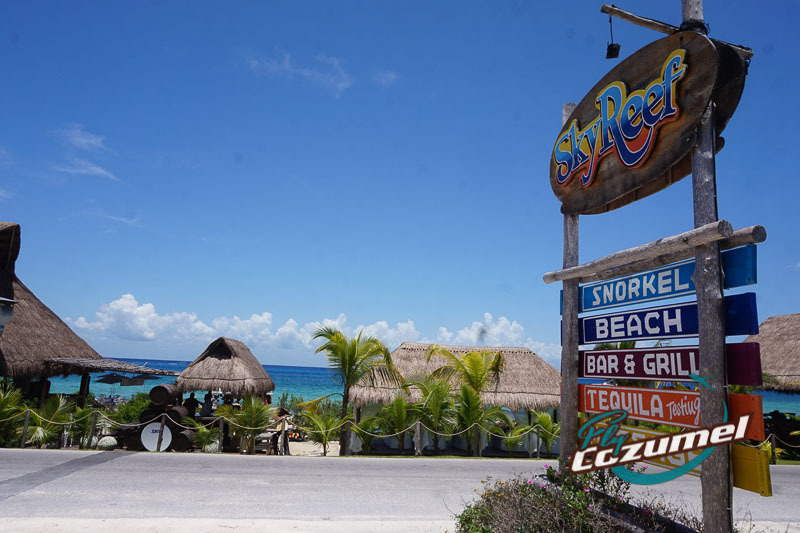 Opening hours: Monday through Saturday from 9:00 a.m until 6:00 p.m.
Mr. Sancho’s is another highly popular Cozumel Beach Club. Similar in concept to Playa Mia but with fewer activities, this all-inclusive beach club also comes at a more accessible price. People who frequent Mr. Sancho’s tend to have glowing reviews of their experience. A family-run operation, perhaps that’s why people feel so at home at this fun-filled beachside haven in Cozumel. 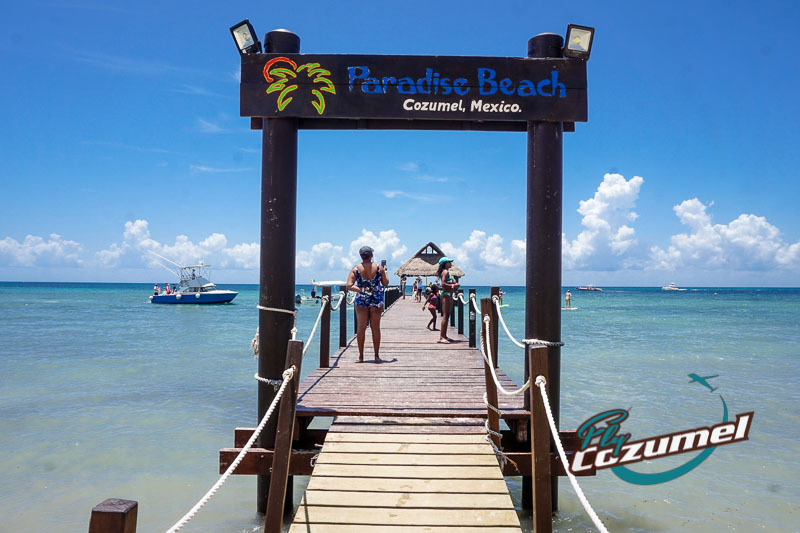 Opening hours: Monday through Saturday from 9:00 a.m until 5:00 p.m.
Of all the Cozumel beach clubs on this list, Nachi Cocom is the most exclusive. Limited to just 130 guests per day, this is not the place to go to get lost amongst the crowds. Also known as the Nachi Cocom beach break, this tropical oasis combines style and elegance with Caribbean charm and adventure. Of course, in addition to the all-inclusive amenities, which includes and open bar and a four-course meal, you can also enjoy activities such as snorkeling and banana boat rides for an additional cost. 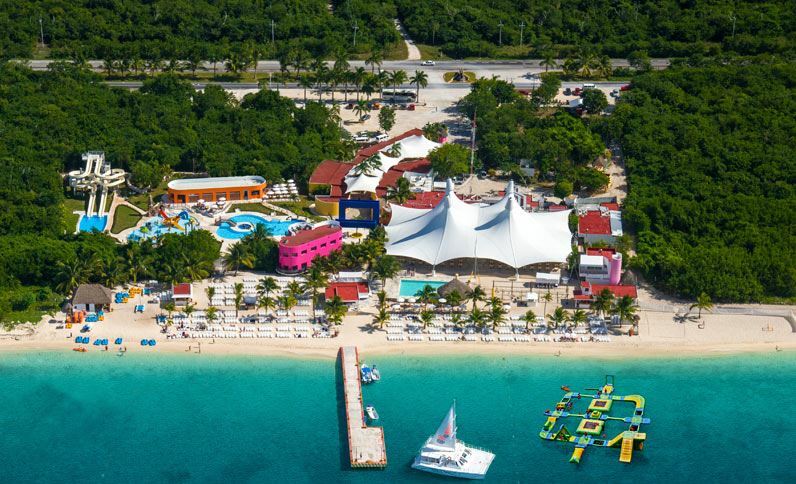 This expansive Cozumel beach club known as Paradise beach is worthy of its name. Set along a stunning stretch of white sand beach, this beach club has enough space to enjoy the facilities without feeling too crowded. Want some space, just take a towel and move on down the beach a little. With a large pool behind the beach and an $18 USD, all ages fun pass available for those wanting to enjoy some additional aquatic activities, there’s enough to see and do while staying entertained the entire day. And if you just want to kick back and relax, well you can and should do that too. Opening hours: Mon. – Sat. 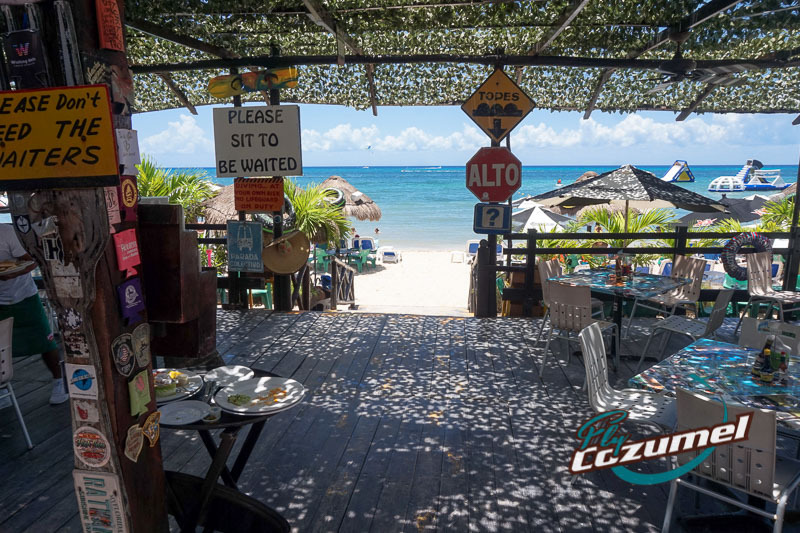 from 8:00 a.m until 5:00 p.m.; Sundays from 10:00 a.m. until 5:00 p.m.
Alberto’s is a small beach club located toward the southern end of Cozumel Island. Of all the beach clubs, this one is probably the most modest and closest to a beachside restaurant more than beach club. However, Alberto’s also boasts a volleyball court and a cozy but small beach area. It’s a great place to go if you’re looking for a more intimate, local atmosphere away from the crowds. Plus, they’ve got occasional live music to boot. Opening hours: Daily from 9:00 a.m. until 10:00 p.m. The last beach club on the west side of Cozumel Island. On one side you have the Caribbean Sea and a marshy mangrove forest on the other. This laid-back and authentic beach club lies in between the two. With a nice, large swath of white sand beach, the Palancar beach club has the most tropical island feel of all the beach clubs. Located right off of the Palancar reef, it’s also a great starting point for scuba diving and snorkel excursions. However, note that the actual reef is far away and off-shore snorkeling isn’t the best. In other words, if that’s what you want then you’ll need to hire a tour. Luckily, the extremely friendly Ivan from Ivan tours has you covered. His stand is located just to the left of the restaurant. 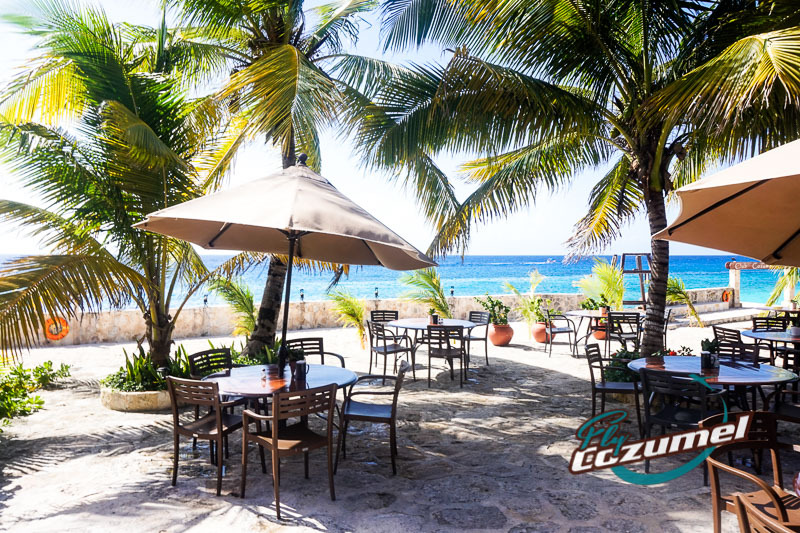 There are some great Cozumel restaurants and bars on the “wild side” of the island. Rasta’s and Mezcalito’s to name just two. 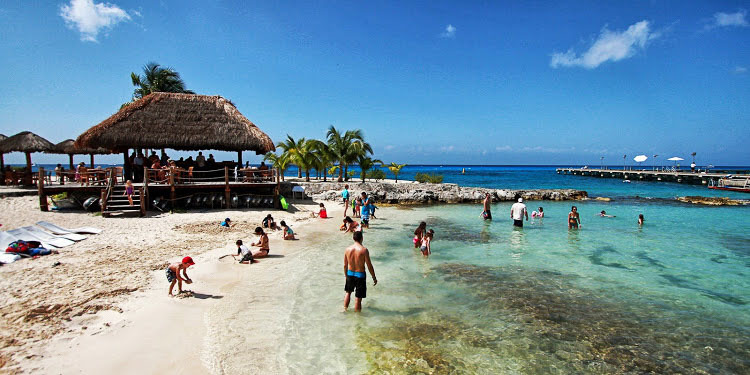 However, the only real beach club on the eastern portion of Cozumel Island is Punta Morena. This large beach club is spread out over a large area, meaning even when it’s crowded it still doesn’t feel that way. The elevated restaurant with wooden finishing overlooking the Caribbean Sea provides a nice touch to a great place to spend the day. And swimming at this beach should be done while exercising extreme caution — currents on this side of the island can be formidable — there are small cove-like areas where even non-swimmers can take a dip. Plus, Punta Morena also boasts a small but nice salt-water swimming pool which is great if you are with the kids. Snorkel equipment is available, weather and waves permitting. This may not be a place to spend the whole day, but it’s a great beach club to go for a few hours while talking a walk on the wild side. 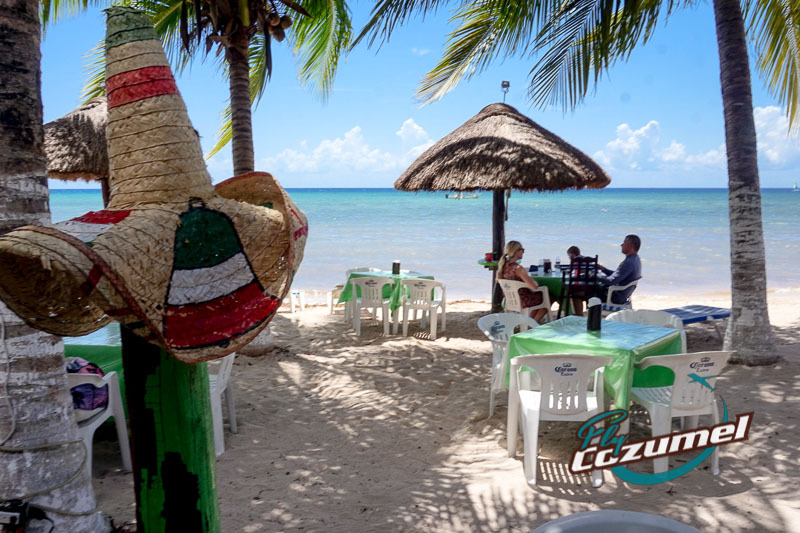 Coming soon: The Best Cozumel Beach Bars! Need more tantalizing tropical tips? Our Fly Cozumel crew is on standby and ready to help! maybe post the local price for the 80,000 people who live here full time.. . ..beaches are public in Mexico this is not the South of France..yet. HA!